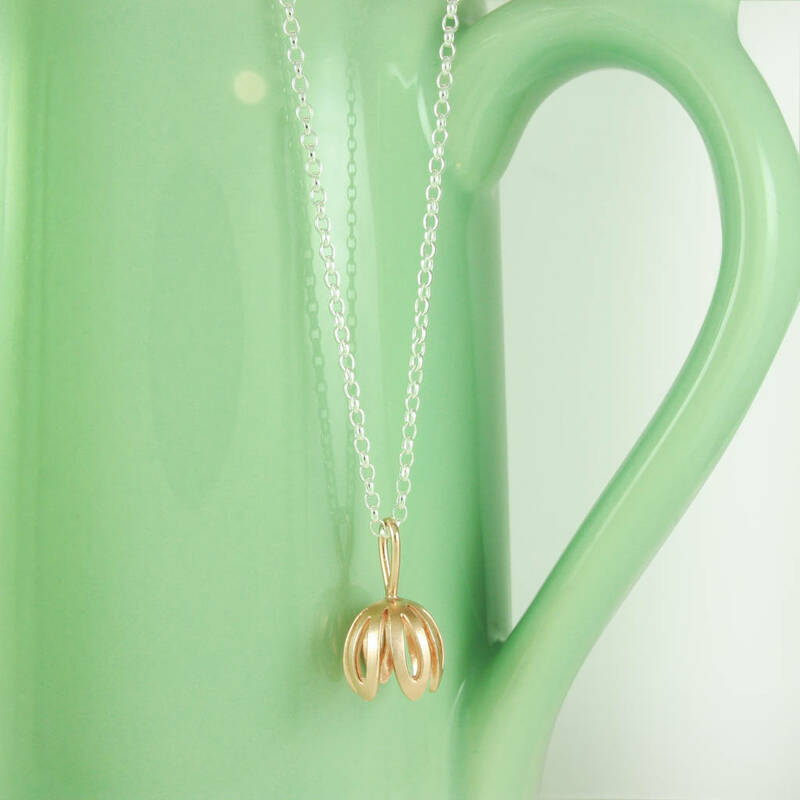 A delicate handmade Rose Gold Crocus flower on a fine silver chain. Inspired by the beautiful Crocus flower, with a soft brushed satin finish, highlighted by carefully polished edges to the petals. Light and easy to wear. The Rose Gold contrasts beautifully with the delicate silver chain. Each piece is hand made in my workshop, you may find very slight variations from the piece pictured. All the materials have been sourced from U.K. suppliers. 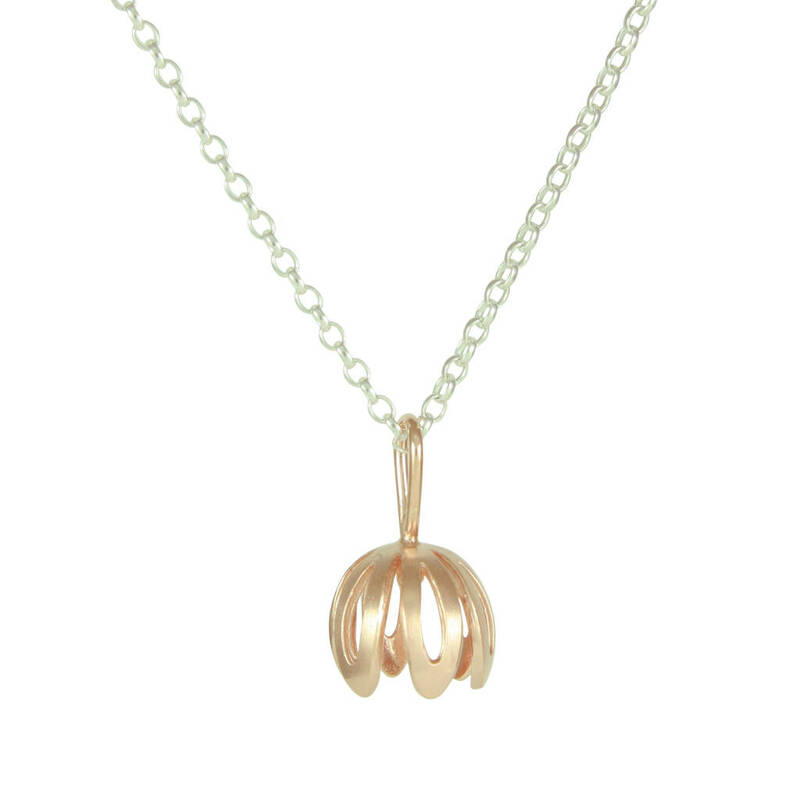 Rose Gold vermeil, this is a thick layer of rose gold on a base of solid sterling silver. The flower measures approximately 1 cm across.It comes presented on a 40cm (16'') silver belcher chain. If you are uncertain about which chain length to choose, we also have an adjustable chain which can be worn at either 16" or 18".When worn at the 16" length, the extra length of silver chain hangs down at the back of the neck.Please select chain length from the options.